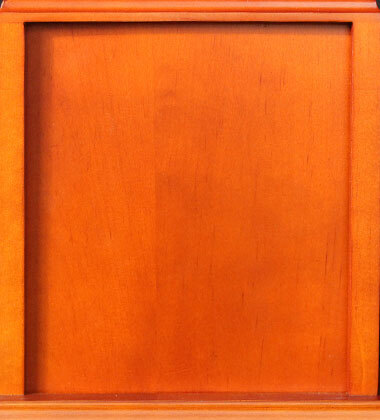 Choose from traditional style wood, rock & more! 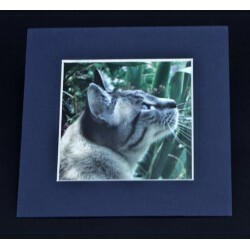 Select your pet, scene, upload, photos & more! Shop easily and checkout securely with confidence! 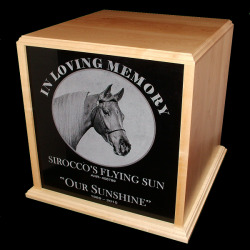 LovedPet® proudly announces our patented pet, human and horse urn designs. 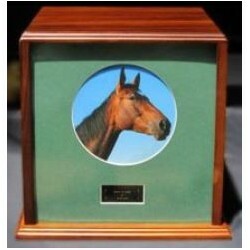 We are particularly excited about the Equine Series. Like all of the LovedPet® patented urns it incorporates a choice of interchangeable panels to simplify photo insertion or engravings. Loved Pet is here to provide you the very best online shopping experience for custom, personalized, and unique pet cremation urns. Our selection is different in many ways from the average pet cremation urn catalog and includes several styles and sizes that are appropriate for any pet. 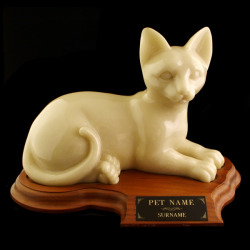 When we decided to present our urns online we set out to provide the most personalized pet cremation urn shopping experience on the internet, giving the pet owner full control over the material, styling, and personalization of the urn selection and customization process. 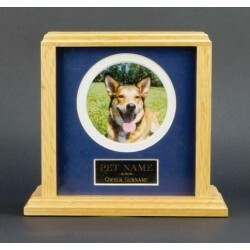 Deciding on the perfect urn for your pet is surely no easy task, but through a few simple steps you can choose from the styles displayed in our categories and begin customizing your LovedPet urn. Our secure online shopping system will allow you to pick from several different laser engraving options including elegant laser scenes and quality name engravings. 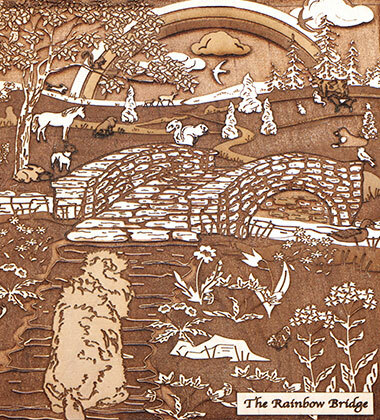 We only use all natural, solid wood (no veneers with the exception of our Eco-Urn), clear grained, kiln dried, individually selected by us for their warmth, strength, beauty and compatibility with our laser engravers. 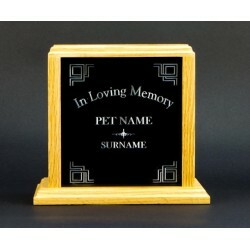 These combine to create an everlasting tribute to your pet. It is what Your Pet deserves and what you will want. 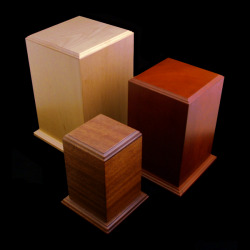 To begin your urn building process simply click on one of the urn styles from the category menu above, choose your urn, and begin customizing. 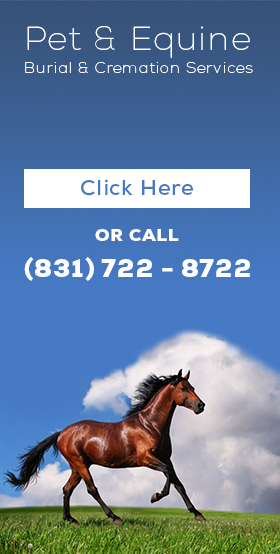 If for any reason you have any questions you can Click Here to Contact Us or call (831)-722-8722. 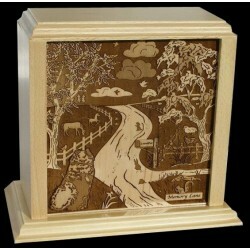 "I chose the solid wood box urn and I am so glad I did. 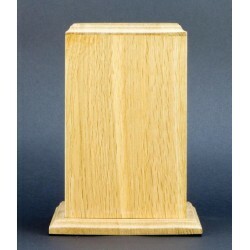 The urn is a solid good quality wood. It has a plaque on it with his name. I was crying tears of joy when I saw how beautiful it was." -Christine M.
"We suffered a major loss three weeks ago when we had to put our beloved Rex down. We had him cremated and chose the tower urn. We also had a paw print done. 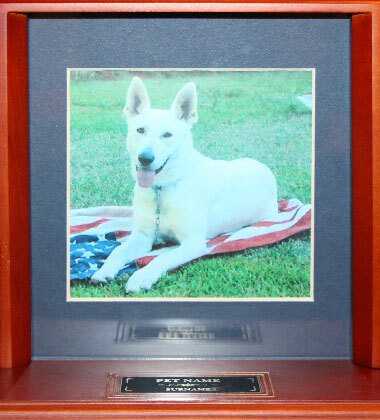 We received his paw print in a beautiful velvet bag. Along with a certificate of cremation and a beautiful poem. Thank you so much!" - Irene G.